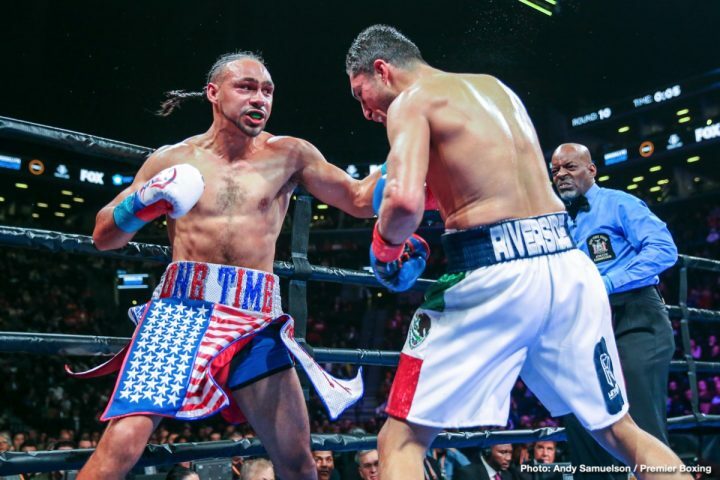 The Barclays Centre in Brooklyn played host to the returning WBA Super World Welterweight Champion Keith Thurman as he looked to come back with a bang against ‘Riverside Rocky’ Josesito Lopez. The opening four rounds saw Thurman produce a classy display. It was if he had never lost a step. The Champions variety in punches, speed, footwork, and defence was all on point in the opening stages and the Florida man also sent his Californian counterpart to the canvas in round 2. Thurman had been flawless; it looked as if Lopez was in for a hard night. Maybe the ring rust kicked in in round 5, but a spirited Lopez took the fight to Thurman for the next 8 rounds, with many of the rounds being very close. It was Lopez’ intense work rate vs Thurman’s clean work with accumulated in round 7, with a barrage from Lopez that left Thurman on the verge of getting stopped. On another day, some referees would have stopped that but Thurman recovered in round 8 and spent the majority of the latter stages picking his shots from the outside. Thurman was awarded the majority decision victory, with a big difference in the 3 scorecards. Many saw the fight as a close contest; however, Thurman now looks to move on to bigger tests in 2019. Thurman stated post-fight, “I want to be active and I want to be in big fights. I want to reclaim the belt that I had to give up, and I would be happy to give the winner of Porter vs Ugas an opportunity to fight me. Josesito Lopez, who gave a great account of himself and was applauded on his entrance to the media room, gave his take on the evening’s action and what he wants next. The Robert Garcia trained fighter said, “I feel I proved a lot tonight, I felt great in there and I felt if he had me in the position I had him in in round 7, the fight would have been stopped. Chief support saw big punching Pole Adam Kownacki demolish Gerald Washington in front of a partisan Kownacki crowd in Brooklyn. Brooklyn based Kownacki took the fight to Washington from the outset, and nearly pushed for the stoppage in the opening round, landing some heavy bombs on the former US Serviceman. Round 2 was more of the same, with Kownacki throwing over 100 punches as he sent Washington to the canvas, forcing the referee in charge to bring a halt to the contest. Kownacki left a statement, having positioned himself highly in the WBC rankings, with his eyes firmly set on Deontay Wilder’s crown. The rest of the card saw an explosive contest between Tugstsogt Nyambayar and Claudio Marrero which saw the Mongolian Olympian emerge victorious against a tricky customer in Marrero who will definitely come again. In what many saw as the performance of the night, Atlas Cops and Kids trained Chris ‘Little Bhopp’ Colbert showed why many refer to him as ‘The Golden Child’ as he displayed a back footed masterclass against the game Josh Hernandez. 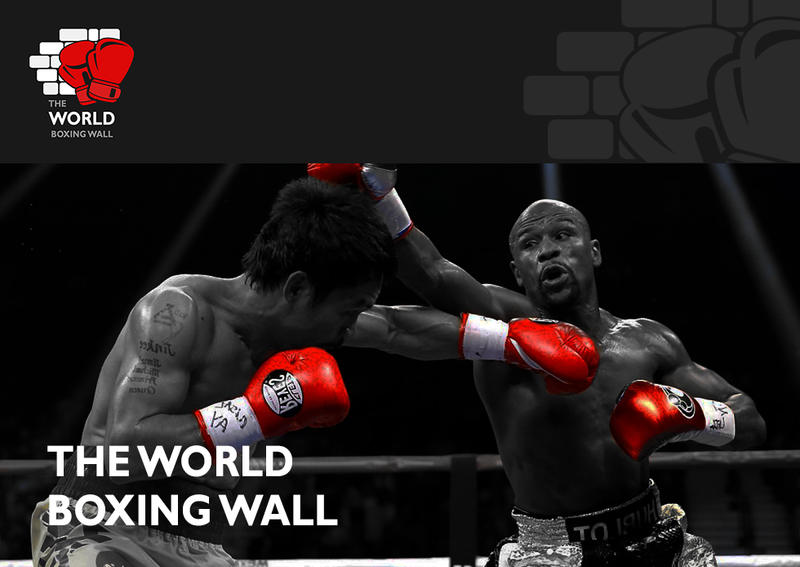 The 22-year-old displayed an exquisite exhibition of defensive skills and ringcraft, far beyond his years as he won 7 of the 8 rounds against an ambitious opponent in Hernandez. Chordale Booker cruised to an 8 round victory over Juan De Angel, and will likely be looking for a step up in class in his next outing. The shock of the night came where Marsellos Wilder was stopped in round 4 against William Deets in a fight many would have expected to be a routine victory for Wilder. Wilder appeared tired late in the fight and allowed his opponent to land a lead hook, which the younger brother of the WBC World Heavyweight Champion was unable to recover from.